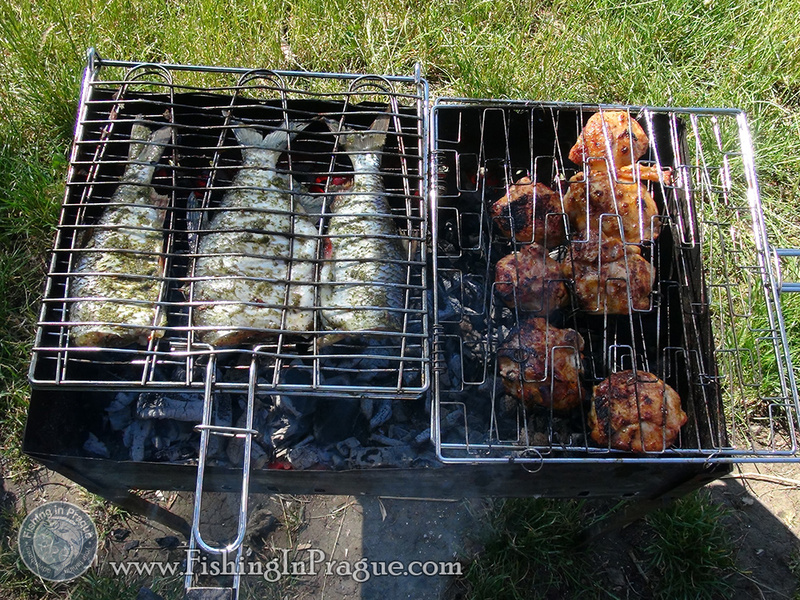 Weather and water conditions: sunny and hot day, the air temperature in the afternoon up to +30 C, the water temperature +22 C.
Special features of a fishing day: The first trip of our fishing club! We were very lucky with weather: the sun shone all the day and a light west wind was blowing. 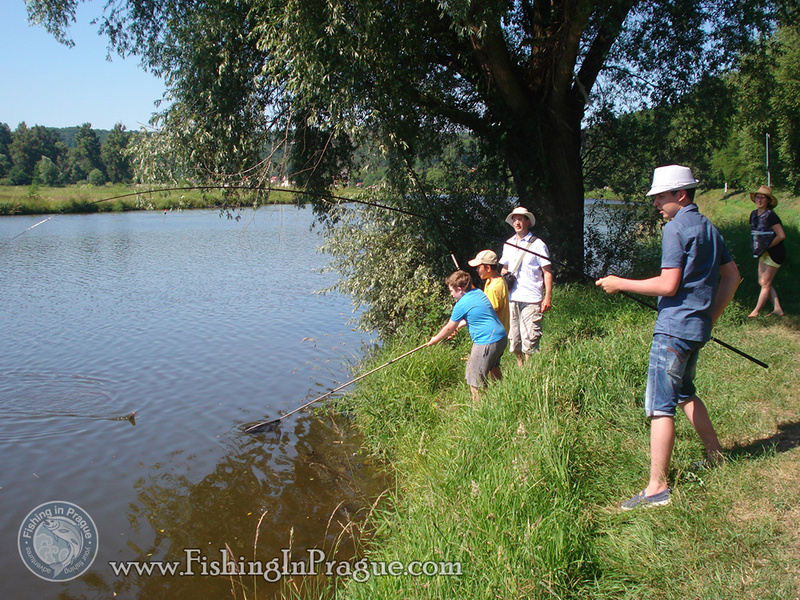 Our fishing team was just small, only 9 people, but all of my pupils was very interested in gaining new experiences and knowledges. 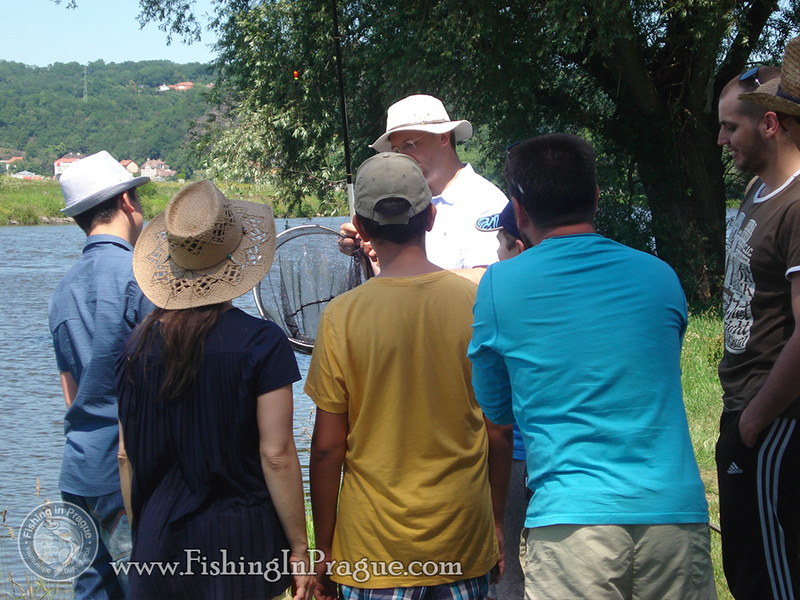 Since we decided to start fishing with bobbers as the most simple fishing method, we held a small briefing about catching white fish as roach, silver bream, rudd etc. 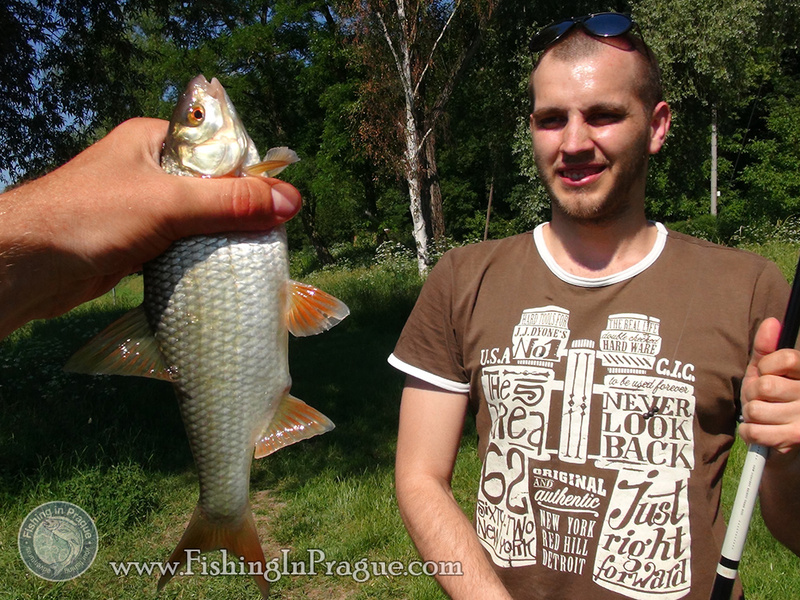 Roach held on the waterfront touchline in large quantities generally in the size up to 0,5 pound. 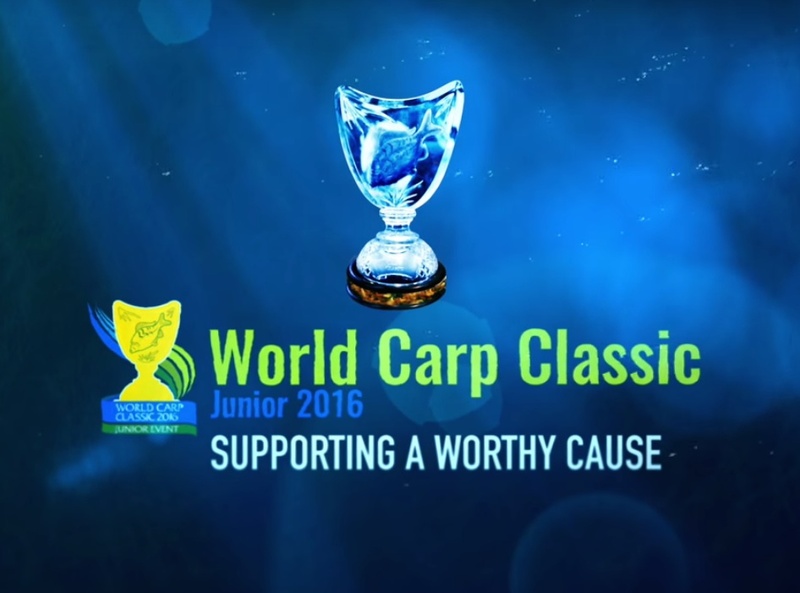 Besides roach was caught some pretty silver breams. 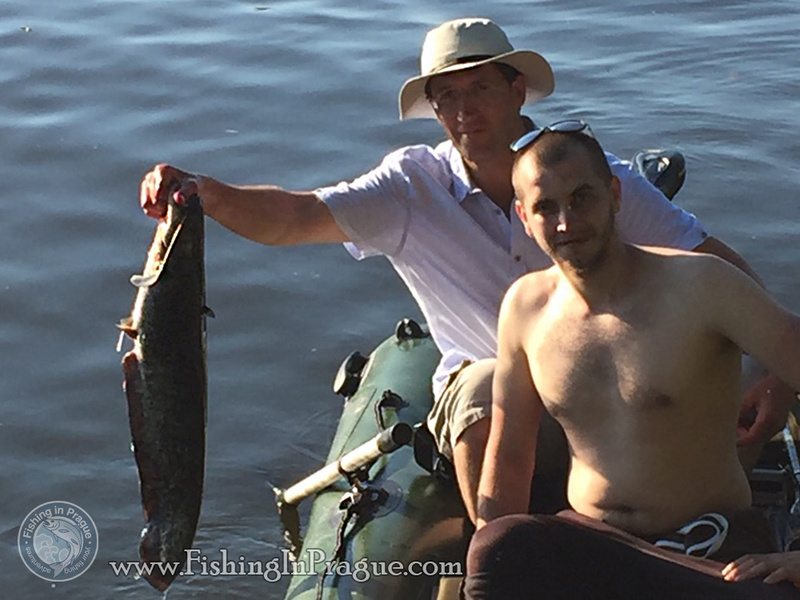 After lunch consisting of grilled fish and delicious sausages with lots of fresh vegetables, we decided put an inflatable boat on the water in order to show the fishing for largest predator in Europe – catfish. Although we’ve invetigated just a very small part of the river the one baby catfish took the lure right on riverbed with five-meter depth. In the evening the surface became covered with many large and small circles – a roach was hunting for hatching caddis. Disappearing sun rays followed us home. 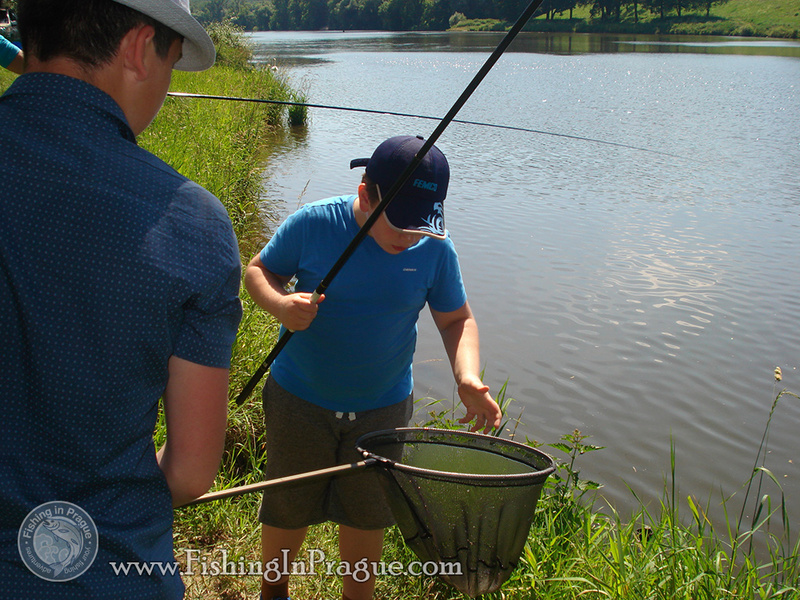 It wa a beautiful day on a first trip of our Prague Fishing Club!